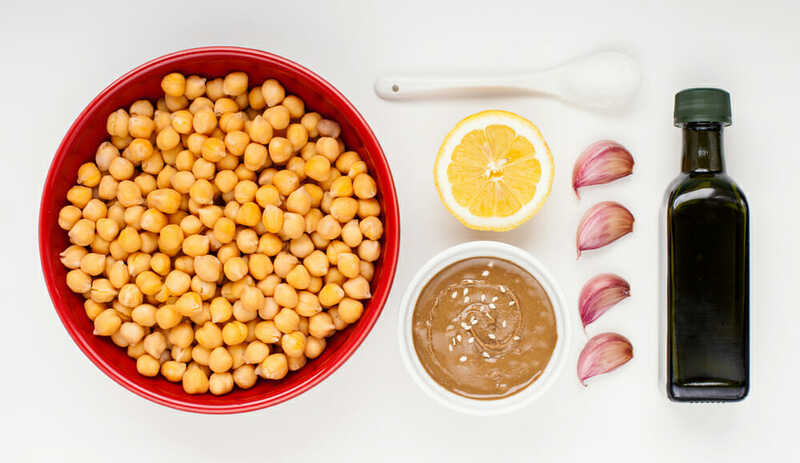 A staple of Mediterranean and Middle Eastern cuisine, chickpeas (also known as garbanzo beans) are an excellent source of protein and fiber. Both vegan friendly and gluten free, they are also a rich source of iron, magnesium, and vitamins. Using them to make unique appetizers such as mini chickpea sesame meatballs. Try our recipe! Perhaps the simplest and tastiest way to use chickpeas is to purée them with various ingredients to make hummus. 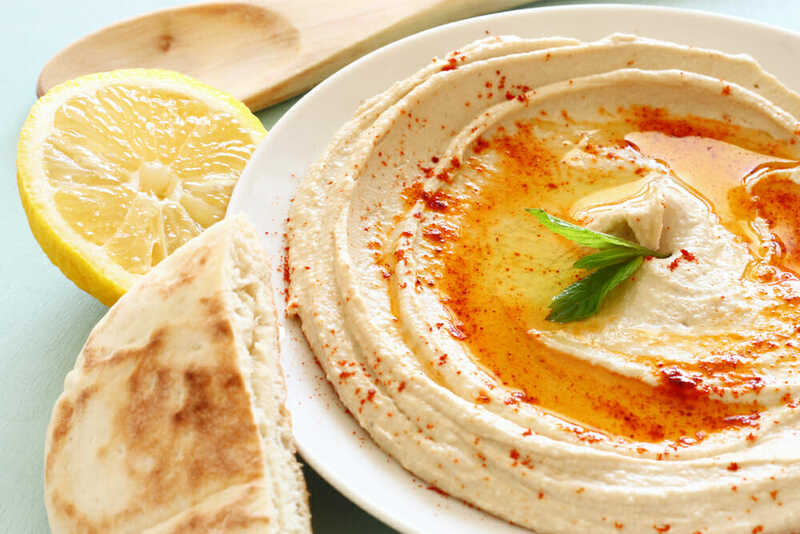 Hummus is a delicious and nutritious spread you can use to liven up your pita bread, vegetable sticks, or chips. And this quick hummus recipe is a great vegetarian treat you have to discover! Drain the water from the chickpeas and set it aside. You will reuse this water if you want your hummus to be smoother in texture. In a food processor, first mince the garlic. Then add the rest of the ingredients to be blended until hummus reaches desired texture. Add a couple of tablespoons of the chickpea water if hummus is too thick. Add salt and hot sauce depending on your tastes. Drizzle some olive oil and sprinkle paprika on top of hummus. You can also add a few whole chickpeas on top for decoration. You can serve hummus chilled or at room temperature. It is a delicious appetizer, snack, or side dish for any occasion!